The Internet sales environment has evolved—your sales tools should too. 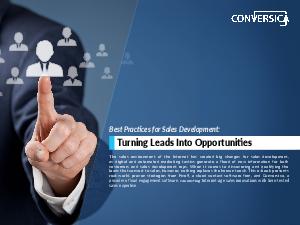 Heavy workloads, high turnover and a high volume of leads can hold back even a talented sales team. Having the right tools for the job can help. That starts with understanding your prospect base, your place in the market and the flow of prospects through your sales process.